Europe’s largest high street health and wellness retailer Holland & Barrett International has today announced a landmark health campaign named Me.No.Pause, winning a competition launched by City Hall and Transport for London (TfL) to increase diversity in advertising. Supported by Andrea McLean, Me.No.Pause is a campaign aimed to show the reality of the menopause for millions of women across the country in reaction to ‘The Women We See’ research, carried out by University College London, which found that Londoners do not feel represented by advertisements in the capital. The campaign, developed & entered as part of a competition by Pablo, was selected from over 80 campaign submissions in the #BehindEveryGreatCity initiative. It was chosen for its commitment to featuring all types of women on a national stage, to surface an issue that has previously been viewed as a taboo among both advertisers and the general public. The campaign, running with the headline “Me.No.Pause” focuses on one of the most difficult aspects women face during the menopause: the loss of femininity, identity and self. The campaign shows women asserting their identity and purpose despite the challenges of menopause, however tough it can be; with Holland & Barrett standing right beside them. The Holland & Barrett campaign will highlight the reality of menopause of five real lives - Toshi, Cassandra, Bunny, Atifa and Ebony all who are experiencing the menopause in different ways. Holland & Barrett has captured their diverse stories for the campaign, which will be launched today. 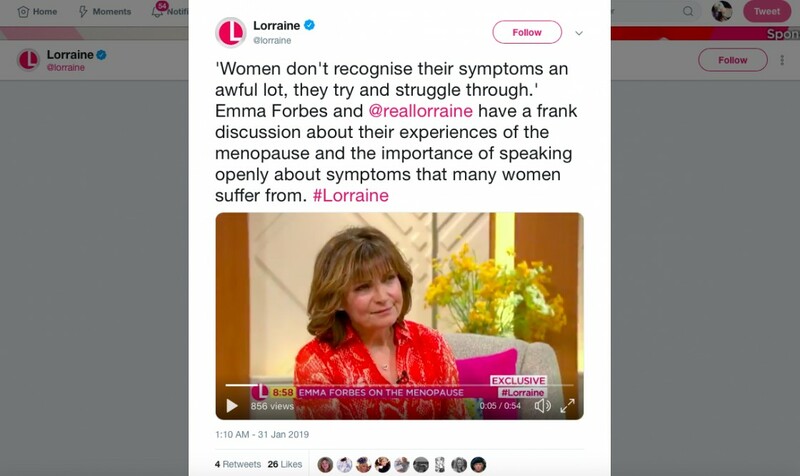 The campaign will explore a variety of menopause experiences, including perimenopause, menopause, as well as handling the menopause prematurely in life, alongside cancer and while managing a disability. It is fronted by Andrea McLean, who experienced early menopause after battling with endometriosis and an emergency hysterectomy. Together, the women are calling for more diverse female stories and lives to be captured in advertising. One of the lives captured in the campaign, Bunny agrees, “I am hoping that this campaign makes a difference, I can see that there is a lack of diversity in advertising not just with older women but those who don’t identify with either gender. Dealing with menopause has been a real struggle, as it can be for anyone. When I was asked to be involved in the Me.No.Pause campaign, I couldn’t say no. I was proud knowing that someone who feels the same way I do would see our pictures and hopefully feel empowered or more likely to talk about the struggles they are going through with someone and not suffer in silence. More diverse stories, such as those from different races, cultures, abilities and the LGBTQ communities, need to be showcased and it’s great to see”. Sponsored by TfL media partners, Exterion Media and JCDecaux, for the first time ever, this competition gives brands the opportunity to win £500,000-worth of prominent advertising space across the TfL network – one of the biggest advertising estates in the world, seen by people on the 31 million journeys taken on TfL’s network every day. The advertising campaign will be supported by an integrated marketing campaign that includes PR, social, digital, content and in-store, as well as an online film which will be live on 9th February 2019 and voiced by English actress Sally Phillips. As part of the campaign – led by creative agency Pablo, Holland & Barrett can help support women experiencing the menopause with natural alternatives and personalised health advice in store from trained store associates. Read more about the Me.No.Pause campaign here. Gareth Mercer is the founding partner of Pablo, one of the fastest growing boutique advertising agencies in the UK. He has over 18 years experience working both client and agency side for a number of UK leading brands and companies including Adidas, VW Group, Carlsberg Group, Premier Inn, Nutella, Kinder, Kopparberg and NHSBT Give Blood. Previous to Pablo Gareth was Commercial Director at CRC running a portfolio of agencies across digital, retail and advertising.